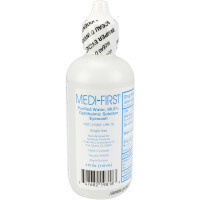 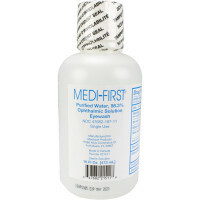 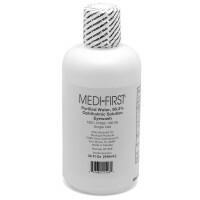 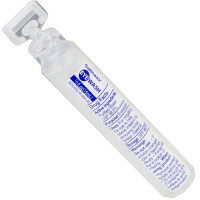 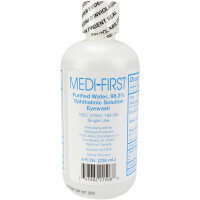 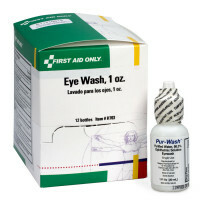 Eye Wash Bottles & Eye Wash Refills for First Aid: From our 1/2 ounce plastic bottles and 1 ounce one time use plastic bottles with twist off tabs to our 4, 5, 8, 16 and even 32 ounce eye wash bottles, we have every size you may need for eye safety! 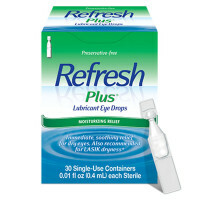 Once upon a time, many of these were labeled as "Eye & Skin Flushing Solution" (after all, if it is safe to put in your eyes, it is safe to use to rinse irritants off your skin, right?) 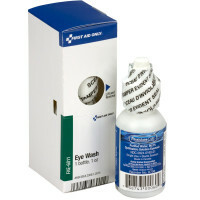 Now our Eye Wash is described as relieving Irritation, Discomfort, Burning, Stinging and Itching by removing Loose Foreign Material, Chlorinated Water, Smog and Pollen.